Keep your members up to date on your synagogue blog. Join members and friends of Congregation Leyv Ha-Ir ~ Heart of the City for our annual Passover seder, to be led by Rabbi Julie Greenberg and Cantor Sharon Sigal. All are welcome, including children. There will be afikomen prizes for the kids. You are welcome to bring your own table wine. Complete seder plates will be provided. Full payment is required no later than Friday, April 12 by check, credit card or PayPal. Cancellations received by Friday, April 12 will be fully refunded. On Sunday March 31 and on Sunday April 7, Rabbi Julie Greenberg will lead our last two participatory discussions for 2018-2019. 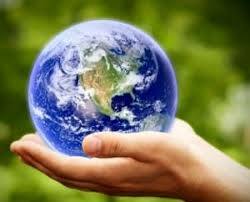 They will be on the theme of Religious Teachings About Care for the Planet. We will work with spiritual exercises taught by feminist philosopher Joanna Macy and with values found in Jewish sacred text. Prepare a list of five items or experiences in nature that have moved you. For example, seeing a sunset at the beach, planting a tulip bulb, dedicating a tree in Israel to a relative. List five things that make you sad as you daily hear news about our climate crisis. What hurts about this news, what do you grieve, what is lost? Or do you feel numb? Why? Light brunch will be served. You need not have attended prior sessions to participate. Come one, come all! COME TO LEARN, COME TO INSPIRE, COME TO BE INSPIRED. I know we are all reeling from the hate-full tragedy in Pittsburgh yesterday. Please know that the leadership of Congregation Leyv Ha-Ir ~ Heart of the City is participating in region-wide security reviews and takes our security very very seriously. At our service on Friday, November 9 we will include special prayer for the families who have faced devastating loss and I welcome you to join in that remembrance. Also let's remember that ultimately the security of the Jewish community comes from working with all people to elect representatives and choose policies that ensure mental health treatment, gun management and mutual understanding between groups. In other words, our security comes from our solidarity, not from our fear. We will keep showing up with kindness and care for each other and for others. "Congregation Leyv Ha-Ir affirms a policy that the Congregation not conduct synagogue business on Shabbat and Yom Tov."